The EURAXESS Hungary Team is pleased to assist foreign researchers and their families coming to work or study in Hungary. Our personalized assistance services are free of charge for researchers. You can also browse our databases for job opportunities or information about living and working in Hungary: tips and help with authorities, formalities and daily life. Bay Zoltán Nonprofit Ltd. for Applied Research contributes to the competitiveness and efficiency of Hungarian companies by providing services in innovation and technology transfer in cooperation with Hungarian and foreign partner institutions. We offer our customers – currently more than 200 companies – complex scientific and technological solutions in several areas of expertise, devised in a way to enhance their competitiveness. We cooperate with institutions of the state sector, the Hungarian Academy of Sciences and universities, as well as their research institutes. For these partners, we also act as innovation intermediaries through our applied R&D and technology transfer activities. As a think tank with a strong team of researchers and experts, we are able to meet the research and development needs of the industry from the conception of an idea to its realisation, at a level of expertise which is considered high even in international comparison. We participate actively in building international consortia, networking, and EU tenders in the field of R&D and innovation. Moreover, we offer business development services as a technology incubator. We regard it as our mission to act as a catalyst in national and international projects involving exceptional levels of technology and creating high added value that are significant for the national economy as a whole, and which have the potential to contribute significantly to the well-being of society. The Knowledge Management Centre of Bay Zoltán Nonprofit Ltd. for Applied Research has extensive knowledge and experience in project management (both as lead partner or project partner), dissemination activities, in the adminsitrative background support of projects and programmes. It also has extensive experience in promoting and offering support activities targeting the Framework Programmes, including the organisation of trainings, workshops and brokerage events, building research net-works, and offering partnering services for third country researchers. We have been the Bridgehead Organisation (national coordinator) of the Hungarian EURAXESS network aiming to assist the mobility and career development of European researchers since 2008. Between 2012 and 2015 we have operated the Hungarian EU Research and Technological Development Liaison Office (HunOR) in Brussels with the mission to provide information and services to support Hungarian participation in EU RTD and innovation programmes. The Office operated in close contact with the Hungarian research sector representatives, relevant government and EU institutions. Our company has successfully implemented more than 50 FP projects, and gained extensive experience in FP project management. We have extensive links with industry including SMEs, and the company is a strategic partner of the Hungarian Enter-prise Europe Network consortium. Corvinus University of Budapest is an internationally recognised, prestigious, state-accredited Hungarian university, with over 300 partner universities on 5 continents and memberships in some of the most elite international networks. Corvinus is a research university focused on education, where the output of the most recent international scientific research is integrated into the classroom materials. The Corvinus degree is fully acknowledged and accepted not only in the EU, but also worldwide – as our alumni from close to 100 different countries have recognised. Óbuda University constantly builds and develops a competitive institution of higher education meeting the criteria and regulations of the European Higher Education Area. The mission of the university is to serve the economy through development and high-level knowledge transfer and innovation. The program of education is balanced to meet the demands of long-lasting basic knowledge, up-to-date professional and practical knowledge, and the application of these. The education process is built on the human relations and cooperative abilities of the students and professors. In this atmosphere students learn civic values naturally, and build them into their own scale of values. 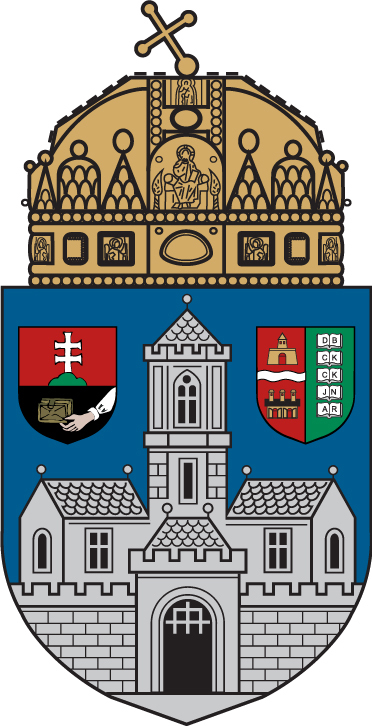 Established in 1825, the Hungarian Academy of Sciences (MTA) is a national public institution charged with the duty of pursuing, supporting and representing science. MTA is a public body functioning as a self-regulatory legal entity, which has some 17,000 members: on the one hand, academicians – that is members of the Academy – and on the other hand, persons holding a scientific title obtained or recognized in Hungary. MTA has 11 scientific sections, which altogether cover the entire spectrum of scientific activities. Each section represents one branch or several closely related branches of science. MTA maintains a research network dedicated to basic research, which, again covering practically the whole range of science, is considered a fundamental pillar of Hungary’s scientific life. This network is made up of 10 research centres – incorporating a total of 39 research institutes – and 5 independent research institutes. These research institutions cooperate with Hungarian universities through maintaining some 200 research groups. Besides, MTA manages its own system of grants and fellowships designed to support researchers’ scientific activities. Where the past and the future meet… At Semmelweis University – Hungary’s oldest medical school – nearly 250 years of tradition, experience and expertise serve as the basis for innovation and the application of modern technologies. Built on the classic trinity of education, health care and research, the University occupies a distinguished place in the Hungarian higher educational system. Moreover, Semmelweis University is Hungary’s largest health care institution and a well-recognised, outstanding centre of research. Szent István University (SZIU), Hungary’s flagship life sciences university consists of 8 different faculties for studies and research hosting nearly 15,000 students. The University campuses, located throughout the country, are home to some beautiful buildings in Hungary, offering students and staff a comfortable, relaxing environment for the attainment of knowledge. Within the eight faculties, degree programs are offered in a wide variety of subjects ranging from natural and environmental sciences, food engineering, horticulture, landscape architecture and mechanical engineering to business economics, social sciences, civil engineering and health sciences. Programs are available at every level from vocational training, through BSc, MSc courses to PhD and beyond. Szechenyi Istvan University offers unique training (Bsc,MSc,PhD and postgraduate) and research in west Hungary, which serves primarily the engineering focused production activities, building on the North-Transdanubian economy and its social and institutional environment. Its innovative educational activities provide students with high-level, valuable, professional, and practical education, in addition the ability and willingness to adapt to any situation. Tempus Public Foundation (TPF) is a non-profit organization established in 1996 by the Hungarian Government, with the task of managing international cooperation programmes and special projects in the field of education, training and EU-related issues. TPF aims to support supporting initiatives aiming at the modernization and quality improvement of education, training and human resources development, encouraging international cooperation and mobility, strengthening the European dimension in these fields. TPF is intensively involved in international activities, in order to encourage foreign institutions to cooperate with Hungarian partners on the one hand, and to make known the achievements at European level on the other. International activities include: help in partner search, a guide for international students, teachers and researchers (available on-line at Study in Hungary), taking part in international projects and bilateral cooperation as partner or coordinator, active role in dissemination projects funded by the European Commission, active participation in the implementation of the Lisbon Strategy. The University of Pécs with its more than 20,000 student population, 1,500 academics and 10 faculties is one of the largest universities in Hungary, the knowledge centre of South Transdanubia and the oldest university of the country. The roots of the institutions date back as early as 1367. Our university represents classical values ​​while successfully adapting to the present and future challenges. The wide range of study programmes offered at our 10 faculties cover nearly every possible area of sciences. Kérem, jelentkezzen be a funkció használatához.